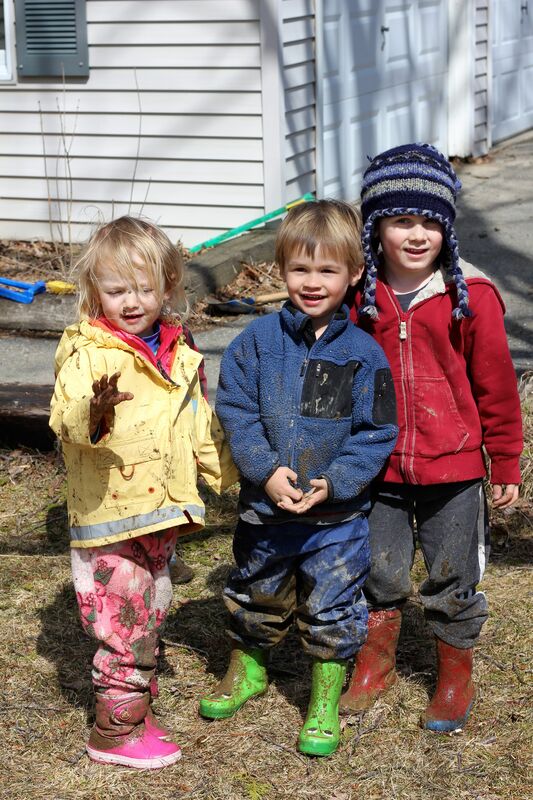 Family nature clubs can be a simple and wonderful tool to help you and other families in your community commit to spending more time outside with your children in nature. There are so many diverse models for family nature clubs: you can start one with just your own family; a group of families can form one; you can host outings open to the families in your community; nature centers, national parks, and landtrusts can create family nature groups — the list goes on and on. The fact of the matter is, whatever type of family nature club you are interested in starting all most likely have the same simple goal at heart…to bring families together to spend time outside in nature. 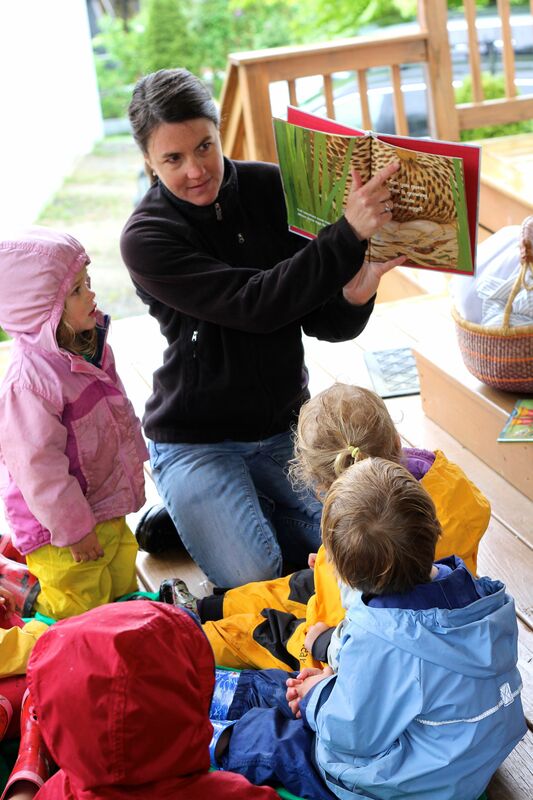 Nature Families is excited to explore the topic of family nature clubs in as much detail as possible. We will share with you tips for starting your own family nature club. We will also share stories of family nature clubs in all their diverse forms. We hope you can find inspiration and assistance here! Our biggest take home message is — don’t be intimidated with starting your own family nature club; it is easier than you might think and it can add SO much to your family life! If you are thinking about trying it — GO FOR IT! If there is any way we can help contact us! Stay flexible, low pressure and focus on having fun together! In winter we often shift this around and do the opening circle and art activities inside and then put on all the warm clothes and finish outside. Some weeks we just do a hike or hit the beach…it is very variable and because we are planning the activities ourselves we can do whatever we want from week to week which is really fun! A large part of the Nature Families website is dedicated to sharing with you example lessons and ideas that are prefect for family nature clubs! Here are a few ideas that show you what you might do to fit a structure like the one described above. Check out our home page for all the categories with amazing ideas shared! Exploration Activities: Track Scavenger Hunt (before lesson adult hides tracks around the woods) The kids try to match the tracks to pictures of the animals they go with. Art component: Use white playdough and small plastic animals that make real tracks—helps kids explore what the animal tracks might look like. Crayon Rubbings with plastic track stencils/or you can make your own and stamp them. Inside: Snow Tunnel Obstacle Course: Set up kid play tunnels and turn kids into mice using magic—spread around Dominos or blocks and pretend they are food. 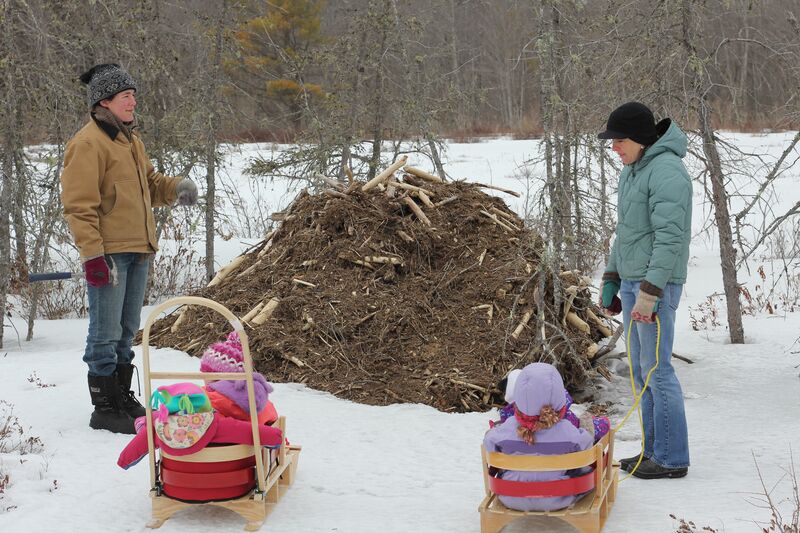 The kids crawl through the “snow tunnels” and collect food and crawl back. This is like an obstacle course race. 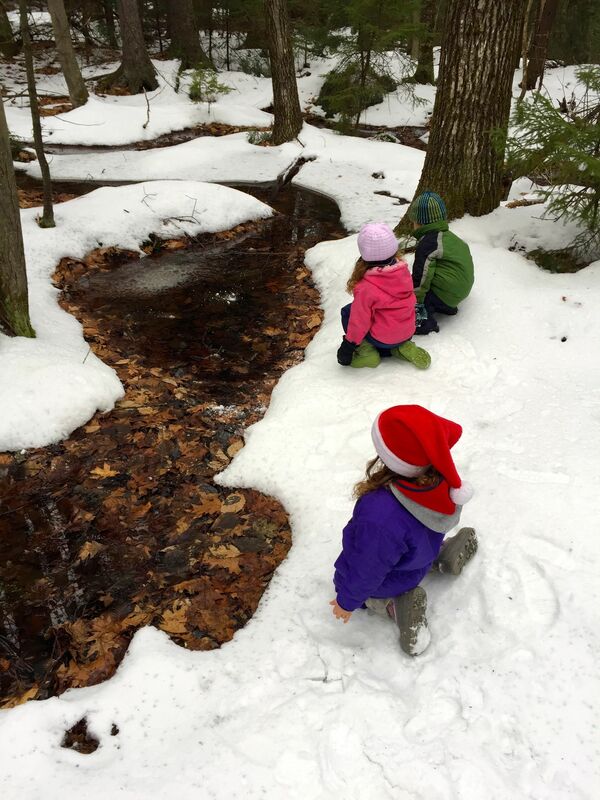 Art component: Use nature journals to draw pictures of winter scenes over and under the snow like in the book. Excited to go Tide Pooling! Also, in addition to a weekly get together we sometimes meet as families on the weekend for potlucks, hikes, and we always run an end of the year culminating camp experience. This can be a more intensive time-like a week or weekend where all the families camp together, participate in multiple activities and end with an awards ceremony. Every year the kids win the award for the year (we just made tree cookie necklaces) and then will move on to the next year. The goal is that we will keep this family nature club going through high school—the camps can get more and more adventurous and child-driven by the end! 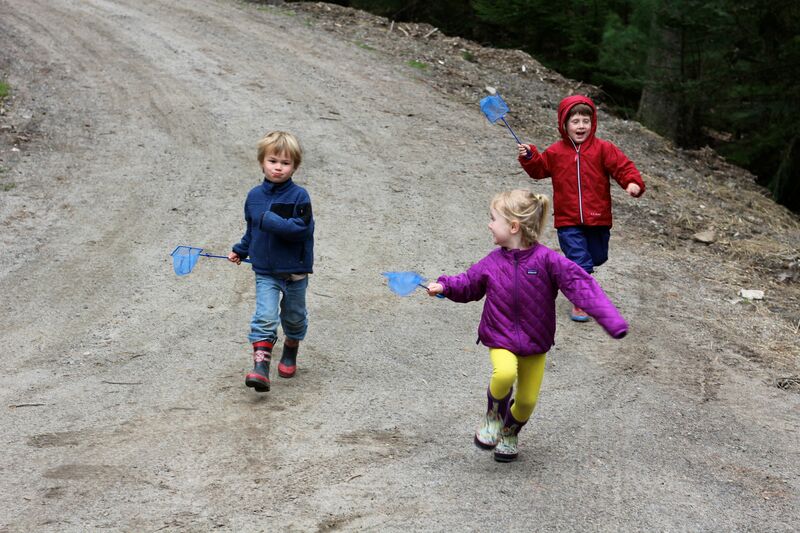 See our Camp Page for more details on starting your own parent taught nature summer camp!